HATCH Yakitori + Bar Chef Daniel Shemtob (Downtown Los Angeles), Jackfruit Café Chef Angela Means (Los Angeles), Momed Chef Alex Sarkissian (Beverly Hills and Atwater Village), Mrs. Fish Chef , Patina Chef Andreas Roller (Downtown Los Angeles), The Raymond 1886 Chef Jon Hung (Pasadena), Wax Paper and Lingua Franca Chef Peter Lemos (Frogtown, Los Angeles), and many more. Attendees can sip refreshing craft cocktails from the likes of 1886, Payman Bahmani, Magnolia House, Sunset & Vinyl and more, along with wines from over a dozen wineries. The event also offers other beverage options including cold-pressed juices, kombucha,and coffee. 100% of the day’s proceeds will go Union Station Homeless Services, a nonprofit organization that assists homeless individuals and families to rebuild their lives. In addition to food, the event offers entertainment, including lifestyle activations, music, and live performances. 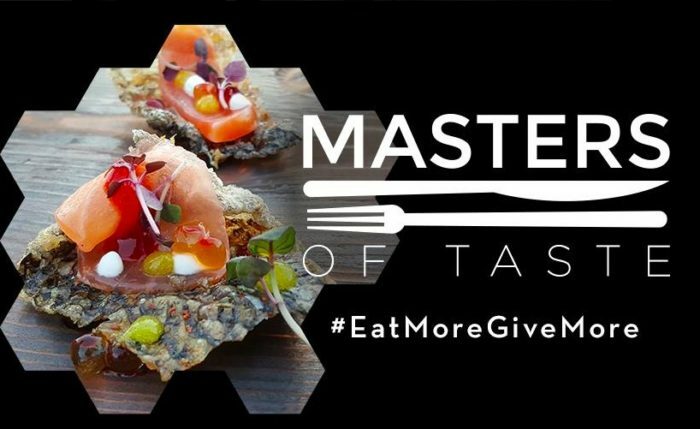 Masters of Taste tickets are $105 for General Admission or $165 for VIP Admission. Both ticket types include unlimited sampling, while VIP tickets also get you early entry, VIP lounge access and VIP-only food samplings. The VIP Power Hour is from 3 to 4 p.m. General Admission begins at 4 p.m., and the event will end at 7 p.m. ALSO: Guests can use the code WELIKELA19 to save $15 on ticket purchases to the event.